We believe in the full potential of every child. Providing childcare and infant care for ages 2 months to 6 years old. 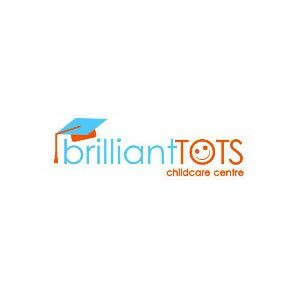 Our curriculum and enrichment programmes in language skills, phonics, dramatic play, science exploration, mathematical experience and computer literacy and others are structured to hone and empower academic and life skills as well as developing each child's capabilities, abilities and potentials. A substantial portion of our enrichment programme involves hands-on, visual and cognitive experiences while personal attention is given to the care of each child entrusted to us. Our aim is to muster every child's lifeskills and personal development in both the moral and aesthetic aspects. Our curriculum will empower each child to grow up with better worldviews to leverage on to live a fulfilling life. Our Programmes are structured on MOE curriculum with lifeskills and lifelong learning activities. Materials in each interest area are carefully selected to reflect children's interests and developmental levels. BrainMastery™: Incorporating the concept of the use of multiple intelligences and performance-based assessments from Howard Gardner's theory, this enrichment programme enhances a child's concentration and motor skills to complete a task creatively and confidently, with speed and accuracy, within a given time limit. Linguistic Development (Phonics): Phonics empowers a child with early reading skills and spelling by learning the vowels, blends and consonants of the alphabet. Practical Skills (Montessori-Based): This enrichment programme extends real life experiences that develop skills in problem solving and meeting challenges in life. Project Work: Conducted based on research done by children during their lessons. They develop skills in working together as a team, and this programme enhances lifelong learning as well as the importance of teamwork. Confidence building, through action and play activities, is skewed to encourage a child to be verbally expressive and proficient in language usage.